It is 1stQ’s prime objective to reach conditions as close as possible to the visual capability of the healthy crystalline lens, helping to sustainably improve the patients’ quality of life. The research and development work of our experts aims at constant optimisation of our intraocular lenses with strict orientation by the functions of the crystalline lens. Pursuant to the timeless strategic principle that “form follows function”, and based on our IOL System Qfunctional, we continue to set new standards in functional patient care. The basis function of the intraocular lens is substituting the distant function of the crystalline lens. It provides sharp distance vision. The progressive function of the intraocular lens is substituting the near-intermediate function of the crystalline lens. It provides sharp, transition-free vision from far to near. The blue-filter function of the intraocular lens is substituting the protective function of the crystalline lens. It arranges for natural colour perception and protects the retina from aggressive light. The aspherical function of the intraocular lens is substituting the mesopic function of the crystalline lens. It provides high-contrast vision, even when light conditions are poor. The cylinder function of the intraocular lens is substituting the imaging function of the cornea. It provides distortion-free vision in the event of corneal astigmatism. 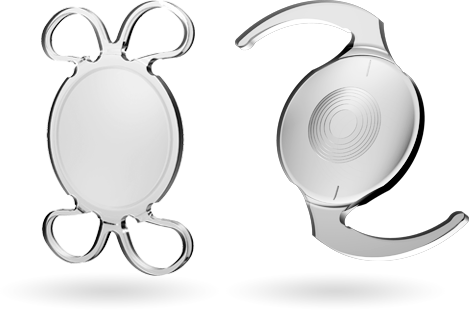 … the Basis IOLs of 1stQ offer functions that restore Optimal, Natural Vision after lens exchange, either singularly or in combination with a sulcus-fixated AddOn IOL. Data factsheets and Instructions for Use on each IOL model are available in the download section with info material above. Upon request, 1stQ IOLs can also be made available from individual production to meet extreme power requirements. For further information and advice, please contact us under 0049 621 717-6330 or info@1stq.de. 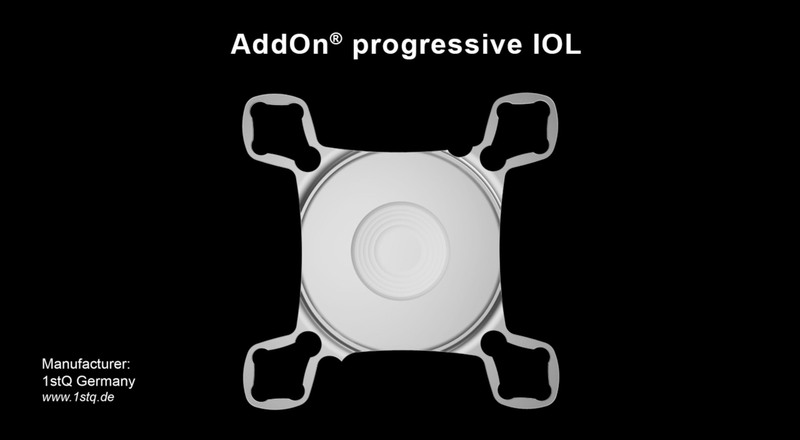 The AddOn is an IOL platform for fine-tuned refractive surgery and constitutes a milestone in functional patient care. The AddOn lens is implanted into the ciliary sulcus, complementary to the capsular-bag fixated basis IOL, and is compatible with all common capsular-bag IOLs, irrespective of their design or material. It may be applied for spherical, toric, presbyopic and toric-presbyopic refractive fine-tuning, independent from the lens status of the pseudophakic eye. 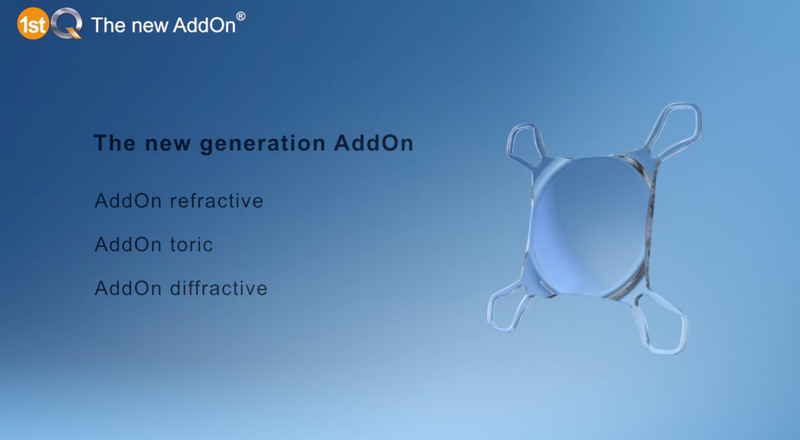 The AddOn can either be implanted in a planned procedure together with the basis lens or at any time later after lens exchange in the capsular bag. Patented features for a save positioning irrespective of the size and shape of the sulcus. 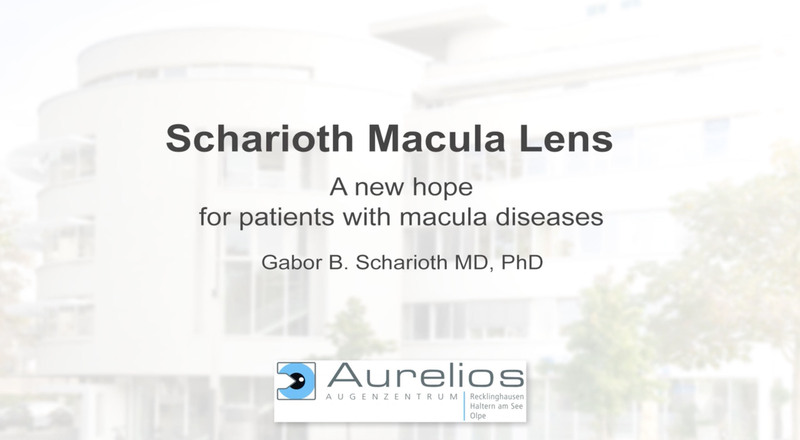 The macula lens AddOn SML (Scharioth Macula Lens) is a pioneering innovation based on the AddOn platform. It is a bifocal AddOn lens with a specially designed central optic area of +10 D, combining the proven AddOn technology with the new approach of adding a central magnification (a "miniature loupe"), yet without affecting distance vision or visual field. The AddOn SML brings new hope to patients suffering from advanced dry AMD to get their capabilities for near vision and reading restored. To ensure a safe and trouble-free implantation of an AddOn IOL, we would ask you to follow the instructions of our specialists from our global sales service. We have compiled all information of importance that needs to be observed in clinical use. In case you require additional advice and guidance, please contact us under 0049 621 717-6330 or info@1stq.de.